This week’s pick is CBS Sports by CBS Interactive. 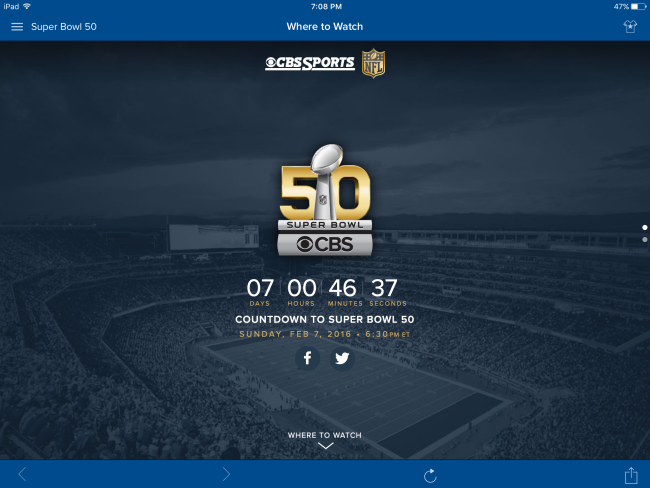 In addition to being able to get immediate access to scores, stats and news, with the CBS Sports for iPad app you can watch Super Bowl 50 LIVE on Sunday, February 7, 2016 at 6:30 PM ET. When you set-up the app for the first time you can personalize your experience with your favorite teams from all of your favorite sports. In addition, with push notifications you will be can be alerted to scores, news and highlights. If you’re a sports fan, you won’t find an app or website with the depth and detail that CBS Sports provides. The layout and user interface is clean and organized. The programing, notifications and breaking news can be personalized and categorized. The app offers live-streaming video and the radio programming is professional and well respected. 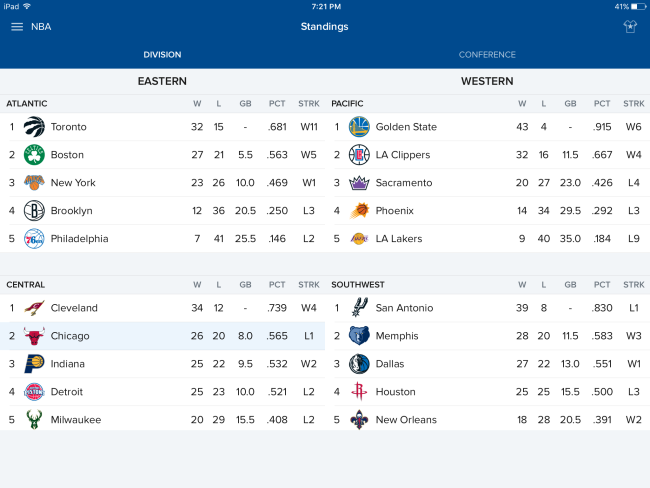 Personalized Push Notifications: Set up your favorite teams to be notified of scoring updates as they happen, get team news alerts, and be the first to hear about breaking news. OR, set up single game alerts for games you care about by adding them to you “Watchlist”. Live video – NCAA basketball (January-April), PGA TOUR (May-August), and SEC football games (Sept-Dec). Also get on-demand access to highlights, analysis, and original video programs. CBS Sports Radio – Live streaming radio such as the Jim Rome Show, Doug Gottlieb and more. Special Events – Access to CBS Sports coverage of events like NCAA March Madness, The Masters, NBA Draft Day, PGA TOUR and more. Here’s an App Store link for CBS Sports. 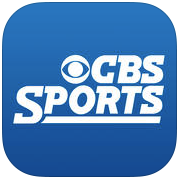 Compatible with iOS 8.0 or later, CBS Sports for iOS is an universal app that works with iPhone, iPad and iPod Touch. It is a free app–and if Verizon is your network of choice, you can stream Super Bowl 50 to your mobile device for free.